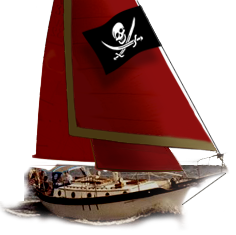 Westsail Owners Alliance - Thread: "Westsail Memorabilia For Sale"
Thread: "Westsail Memorabilia For Sale"
I am interested in some of the ribbon. Please email me a price. I'm afraid not. The lines drawings would not be something that a builder would share with a dealer. I did sell 4 Westsail produced f/g half hulls on this board several years ago. If you could locate one of those you could take the lines off it. All of the inquries I've had have been for 3 ft. You all need to do some serious beer drinking if you belt sizes are still that small. I am trying to encourage larger buys by pricing the ribbon at $1/ft. + $15 shipping and handling. Think gifts for your Westsail friends and family. Think group purchase. Maybe you could peer into Hull # 221's file and tell me what you think, also the ribbon is starting to sound interesting, any pictures?